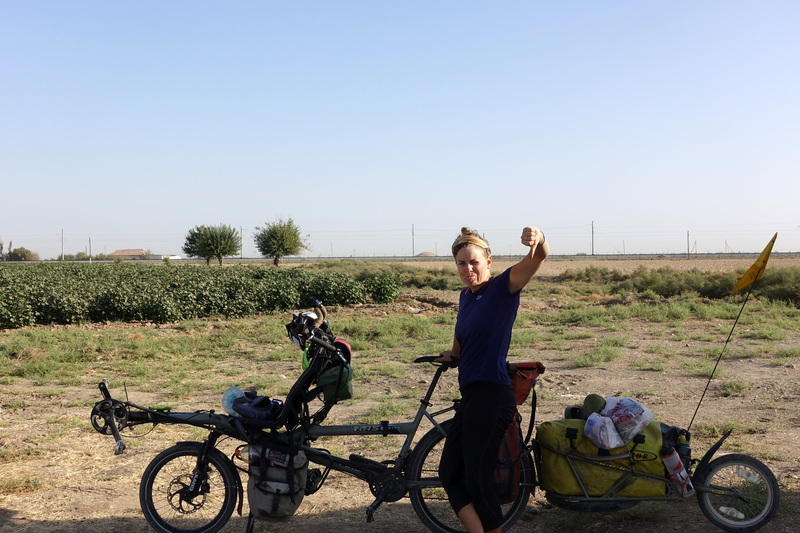 Leaving from Denau, our plan was to follow the southern road edging the Turkmenistan border towards Bukhara and the Uzbek desert. However, we first needed to get money for our travels. If anyone has been to Uzbekistan, they know about ridiculous amount of cash they need to carry around. 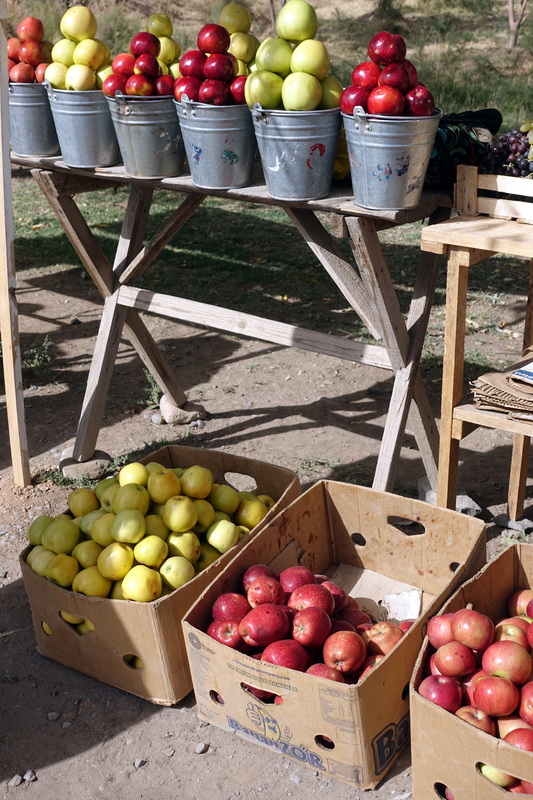 When inflation was rampant in the 90s, the Uzbek government officially didn’t recognize the problem. This meant that the Uzbek Som was steadily losing value, but higher denomination notes were not in circulation – meaning that a simple item required bags of money. Recently, the government started printing 10,000 and 50,000 Som notes, but these are still equivalent to 1.20 and 6 USD, respectively. More common, though, are the 1,000 and 5,000 Som notes. 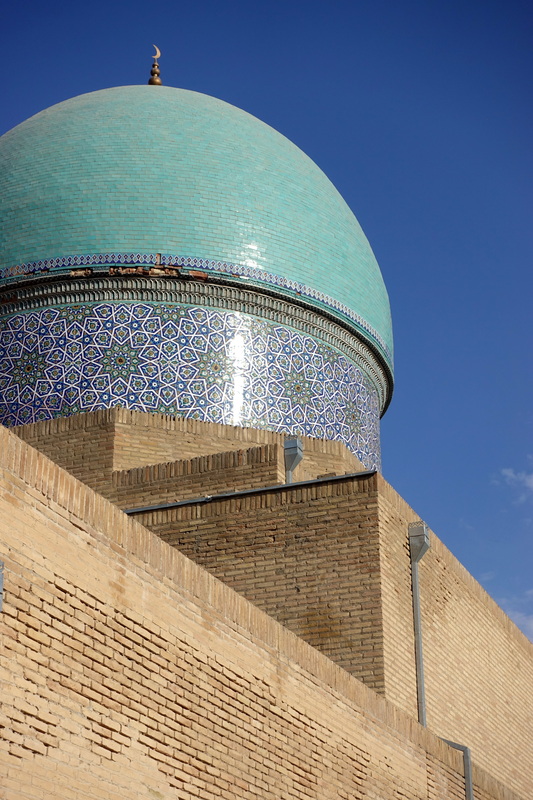 Uzbekistan has tried for decades to fight inflation – and succeeded in making the financial and banking system a nightmare for normal people by limiting the possibilities of international transfers (both cash and electronic), while simultaneously closing eyes on a corrupt elite using foreign hard currencies (part of the cause of inflation). A vicious cycle that seemed to get better since the death of the previous despot (ahem, president) and a new more liberal president since 2016. Uzbekistan remains nevertheless THE problematic country with currencies. 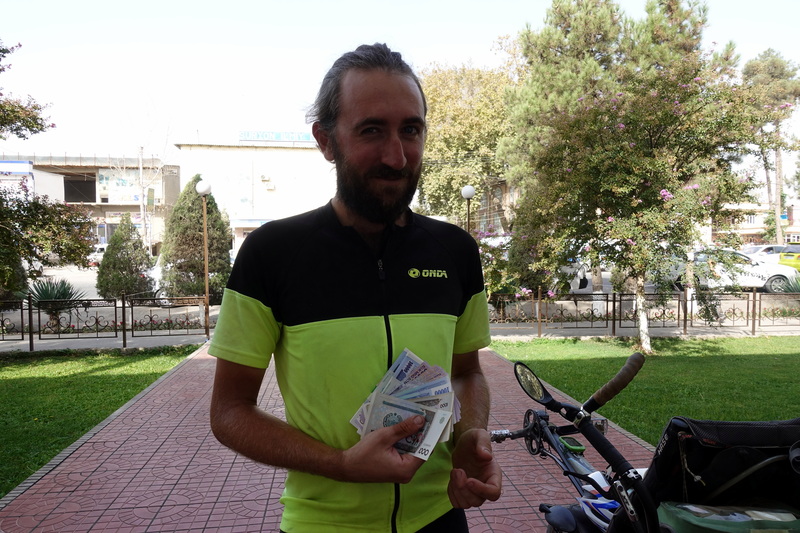 Because international ATMs are rare in the country (inexistent in most towns, and you can be happy if a city has one functioning), we decided to pile up notes in Denau – to make sure we could last until at least Bukhara. We hoped to have about 300 to 400$ in local currency to be able to survive for the next few weeks and cover any surprise costs. That means getting about 3,3M UZS in notes (i.e. getting 70 notes if we are super lucky, and up to 33.000 notes if we aren’t!). The hotel pointed us the direction of the famous ATM, a few hundred meters away. 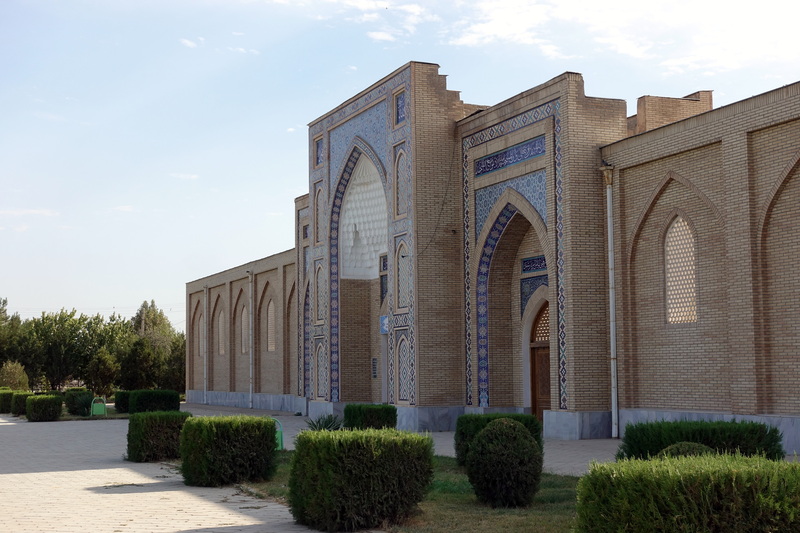 First surprise, the ATM only accepts Uzbek cards (which we obviously don’t plan on getting), but some locals tell us that it’s not a problem, it’s all inside. Short look around, there are tens (possibly a hundred) women queuing to get into the bank! And it’s only 8:45, the bank only opens at 9am. Slightly depressed about the idea to spend the morning desperately waiting for a pile of paper, I understand that all those ladies are waiting for their weekly paycheck (or their husband’s, since they prefer to smoke and drink tea – bank stuff is not a task for men! More in another post about men in Central Asia…), and that they basically waste half a day per week to get their cash. 9am, the bank opens – big rush, almost a riot to get into the bank, so they close the metal gates a few seconds after opening. The manager stares outside and spots the town’s VIPs – he points at me and brings me right ahead of everyone in town. Mixed feelings between relief (we might be able to cycle today) and shame (a non-negligible percentage of Denau looking at you, passing in front of the line. No yelling, riots or tomato throwing, it seems normal that the Nomenklatura is privileged here). I was hoping that things would be pretty fast now as I am literally the first customer of the day (and three employees are at the counters), but first thing they tell me to sit down in the waiting room, before one guy brings me to a booth and asks what I want. Well, get some Uzbek cash – I am not yet ready to apply for a mortgage here! A few papers to fill, a bunch of questions, and he tells me to go back to the waiting room. 10 minutes later, another employee comes and same procedure, same documents, not the same booth though, but this time it looks like the person is going to need a special authorization from a supervisor. A little more waiting before another employees gets a credit-card terminal, and the transaction is accepted – I have never been that close to get some bills! But, the cash is in the safe room, so a manager only can get the money, the employees fills a bunch of documents to (I guess) give each other the authorization to get some cash. More waiting, even more waiting, and a manager arrives with 300$ in 3 notes of 100$! I don’t care about USD, I want some Uzbek Som! So, back to the waiting room, because they don’t have enough UZS (that’s about 2,8M Som – again usually given in 1000 Som notes). Same procedure of documents to give each other the access to a manager able to open the safe, more waiting and the manager brings me to the underground of the bank where cash is stored in plastic bags and piles of notes accumulate around the cash-cave-dude. It’s been over an hour of documents filling, authorizations and waiting – and they haven’t served any other customer yet, so some ladies start banging on the windows out of desperation. After a few more signatures, I hit the jackpot and get my piles of money that I had to hide into … well try to imagine where to put hundreds of notes in cycling shorts without getting beaten off by all the rioting ladies in Denau! I got some cash out of the bank!!! 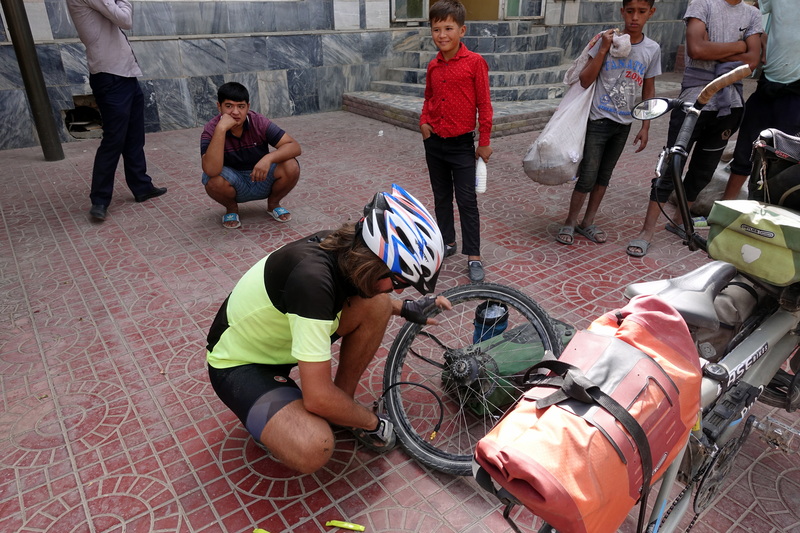 At 10:30 with all our cash, right before we set off on the road, we noticed that the rear tire was losing pressure – our second flat – so we had to pull off the road and repair the tube. Almost as soon as we stopped the bike, about 10 men ages 10 to 65 wandered over to watch us repair the flat. By now, Cédric and I are used to attracting an audience, but the presence of 10 gawkers is nevertheless annoying- so I shooed the first group away before 10 more showed up one minute later. As I was applying the patch, one guy called out, ‘Ooh, special product!,’ which made me wonder how bike tubes were repaired in this part of the world. By 11am, we finally left Denau and started cycling southwest. We were first surprised to have to share the road with so many cars and trucks. We were initially hoping that by choosing this route, we would be able to avoid most traffic because it didn’t look very populated on OpenStreetMap. However, we were very wrong and small towns and cotton fields lined the entire road. For lunch, we stopped at a small restaurant (patronized only by men, the norm here) and while we were eating soup, an older man came over to our table and professed his love for us (we assume based on his gestures). He then went to the shop next door to buy us some chocolate bars and ice cream. As we were leaving, Cédric grabbed the attention of another table and was invited to take selfies with the guys while posing with their beers (we tell everyone that we’re German, so that’s probably why). Almost ready to leave in the morning. We haven’t been bothered too much by other campers in Uzbekistan! View from the camping spot. As the day progressed, the cotton fields transformed into the dry, golden foothills of some remaining bits of the Pamir range. Since there was still a lot of particulate in the air, we could barely make out the mountains we had to cross for the coming two days. Towards the late afternoon, Cédric and I found a dirt road on the side of the road and followed it until we found a promising campsite on a hill. We thought we were far from anyone’s view, but a shepherd found us around sunset and said hello. More so than in Tajikistan, the men in Uzbekistan wanted to talk with Cédric and ask him questions – they only ask me if we have children. 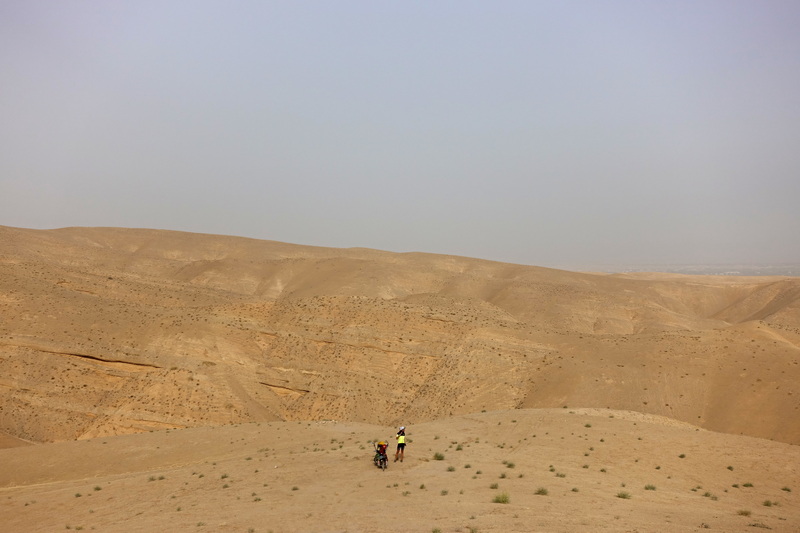 The next day, we set out to cycle over the hills and get closer to the flat desert – something that we’ve been dreaming of over the past month. As we rode up the hills, we crossed more shepherds herding sheep and were honked at by more than a few friendly locals. 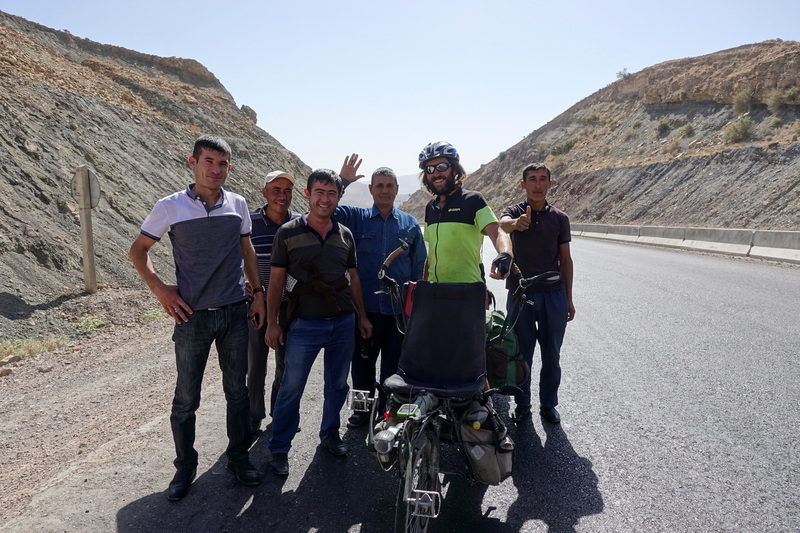 When Cédric and I crossed from Tajikistan into Uzbekistan, the first difference we noticed is that the Uzbek drivers love to honk. On the road, we learned that it’s to get attention, but that could mean honking at a car pulling out onto the street, the gas station attendant (more often, to get you to move after filling up), or some cyclists on the road. However, the honking is insistent – they won’t give up until you flash some gesture of acknowledgement. This cultural trait is initially charming and fun, but quickly becomes wearing after the 50th car follows you, just beating on the horn until a hand is raised. Once you have waved hello, they press the throttle and go back to their speeding habits. The only problem is that car drivers don’t realize that while they see a cyclist on the road once a decade (probably), we see a noisy car a couple of times per minutes, and it happened a few times that people tell us “I’ve seen you on the road” (there are not so many roads anyway) – but we definitely never remember cars passing us! 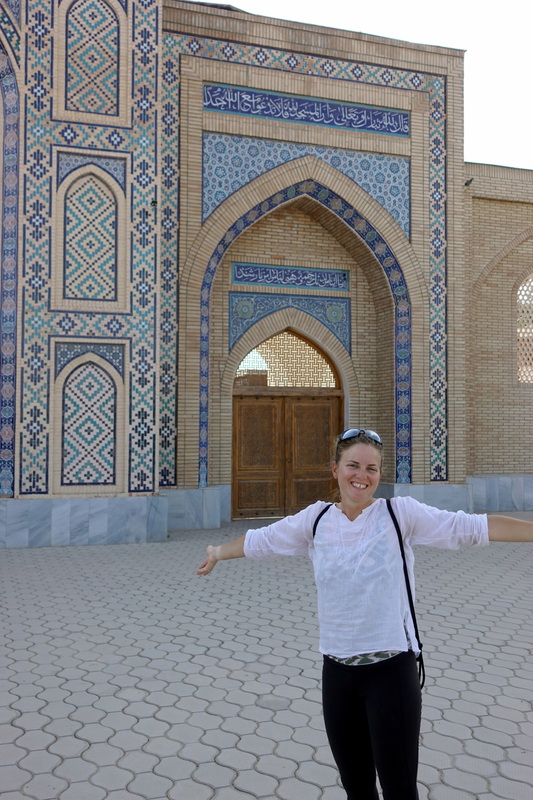 Uzbekistan is not entirely flat, at least not in the southeastern part! 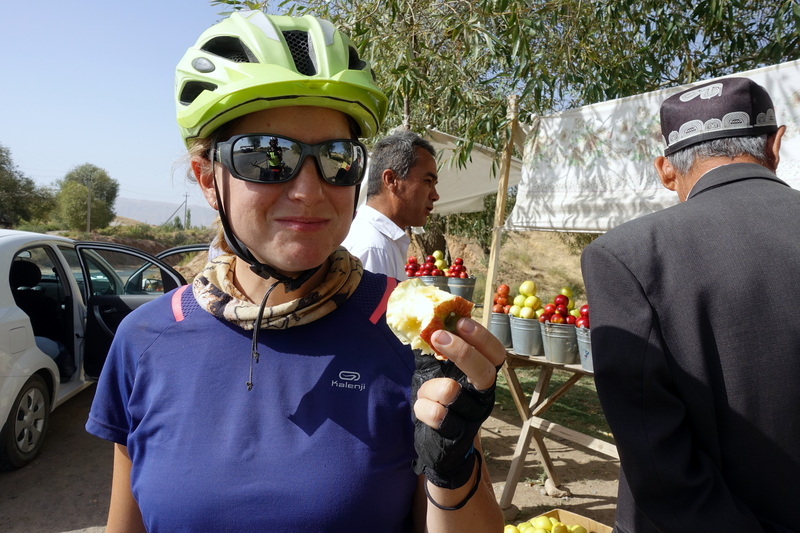 In the afternoon, after stopping for lunch in Boyson, we followed the road downhill, stopping to buy apples and pears from the sellers on the side of the road. We found a somewhat secluded place to camp for the night. Apples! Finally some fresh vitamins. When we awoke the next morning, Cédric and I were excited to finally make it down to flat lands by the end of the day. However, this journey meant cycling over more hills to get there. 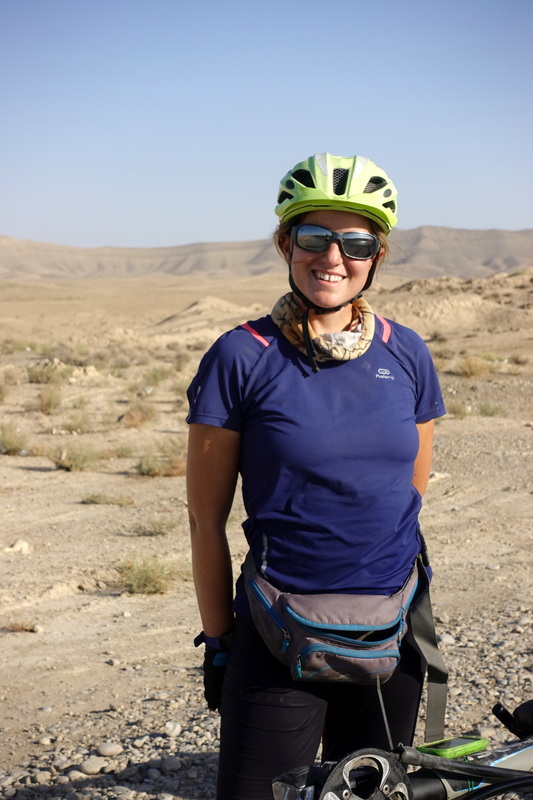 We set off early in the warm Uzbek sun to conquer the toughest part by midday. 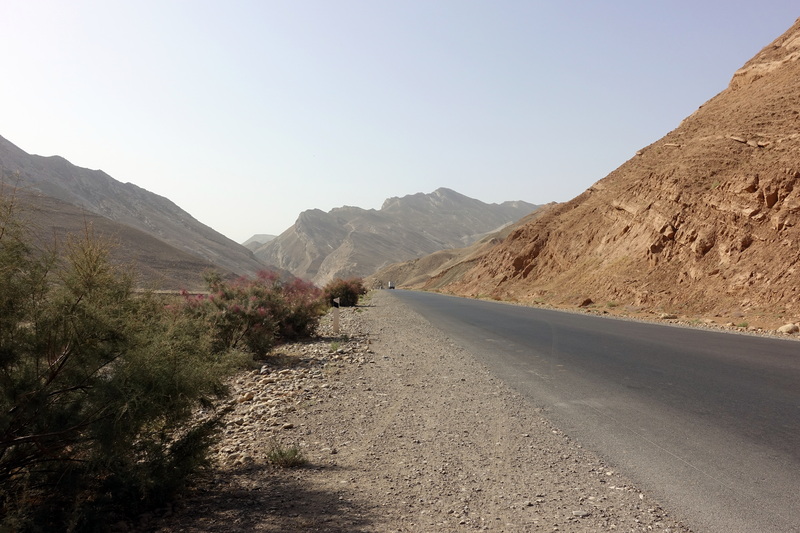 On this stretch of road between Denau and Guzor, the number of villages and life on the dusty hillside seems almost improbable. I suppose that surroundings are more fruitful and good for livestock at other times of the year (i.e. when there’s rain – the statistics are clear for June-October: it never ever rains! 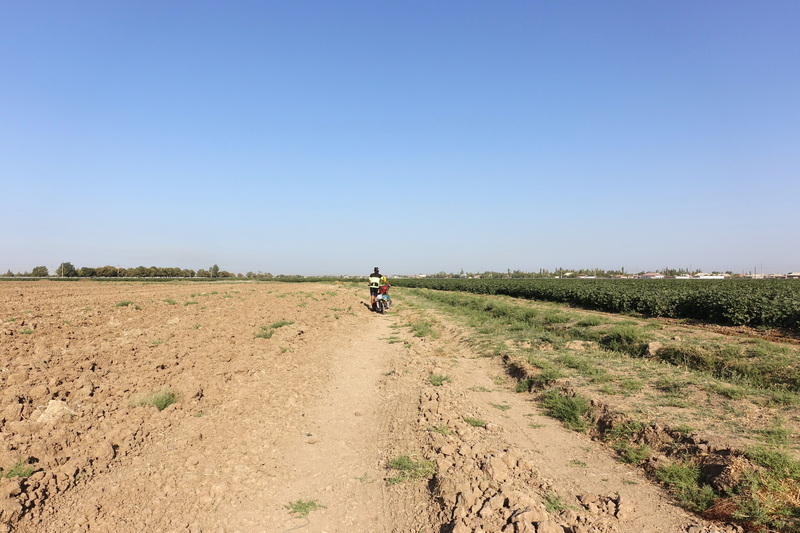 ), but the sheer number of buildings supersedes the number of farmers – so Cédric and I were trying to guess the local economy while riding through the area. 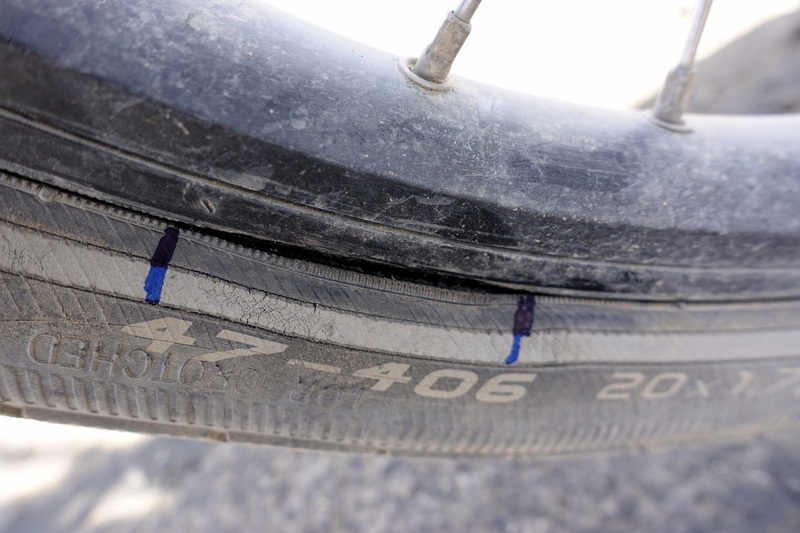 Just as we reached the top of the first hill – we decided to change out the front tire which was slowly forming a split sidewall (thank you Schwalbe Marathon, the exact same delamination issue every few thousand kilometers even if we change our tires way more often than we should!). I wasn’t too keen on the tire exploding while speeding downhill on bad roads. 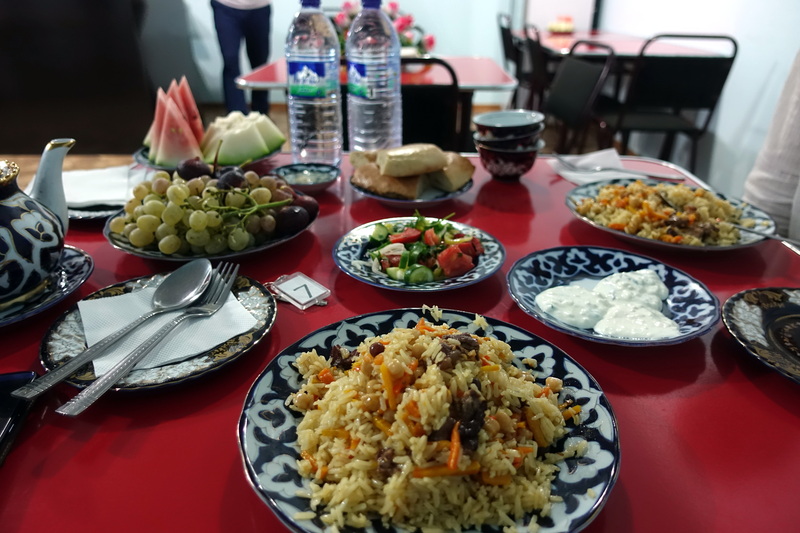 We stopped for lunch at a small male-dominated restaurant in Korashina – a decision that would wreak digestive havoc on us for weeks. In Uzbekistan, we were told that the preferred meal is something soupy because it’s easier to digest (apparently the cause of all problems for Uzbek doctors is food that require mastication…possibly because we have seen a lot of missing or gold teeth along the villages) – however the soup of choice turns out to be brothy with a carrot, potato, and a very indigestible piece of meat (not the finest of cuts and requires an additional 5 minutes of chewing, and you resign to just swallow it at some point). 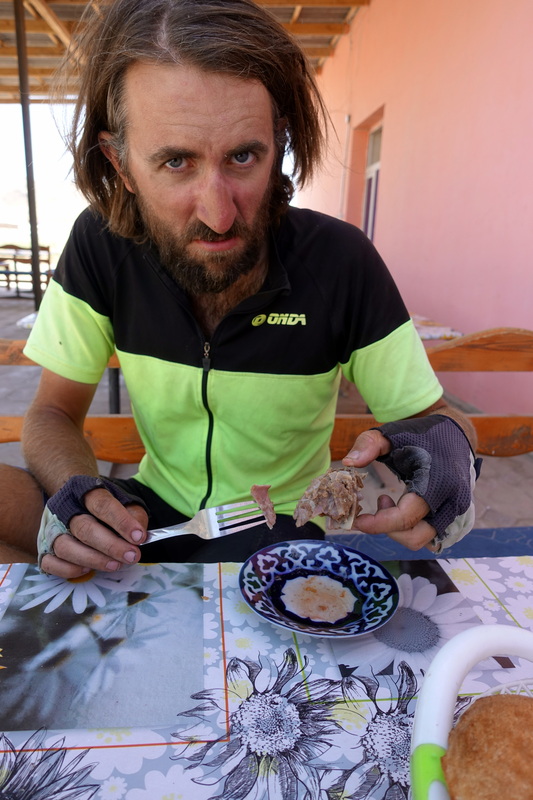 Satiated, mostly from bread, we left and continued the ride towards Guzor – this required one last climb before the desert. 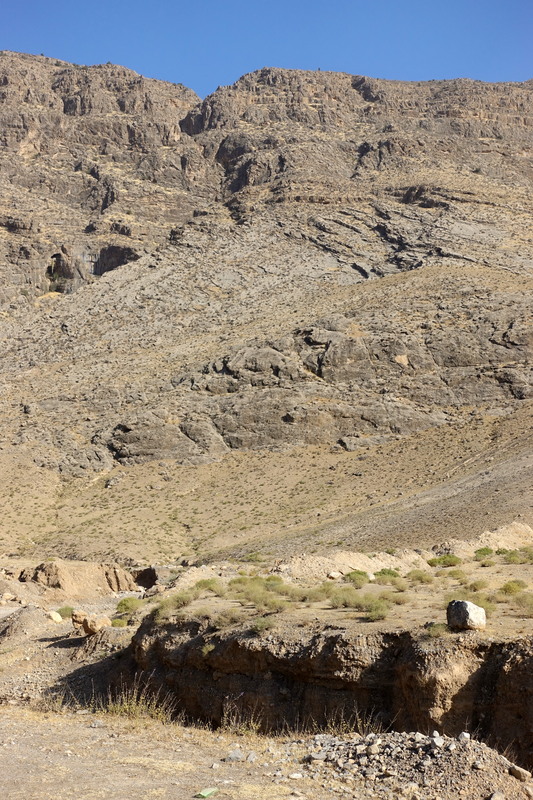 The landscape was still unrelenting in the afternoon sun, so we were happy when we reached the top. Cédric and I couldn’t find any indication of whether there was a hotel located in Guzor, so we resorted to asking the locals to gauge whether one existed or not. Just as we stopped by a restaurant located near the entrance of Guzor to ask, the owners, excited by our presence, quickly said that we could sleep in the restaurant. Fine by us, we thought. Between the time that we left the restaurant and our camp spot was a mad dash through Guzor town asking any large group of people (increasing the probability of a correct answer) if they knew whether there was a hotel/guesthouse in town. From everyone we talked to, it seemed as though there was something, so they would point us in the direction. 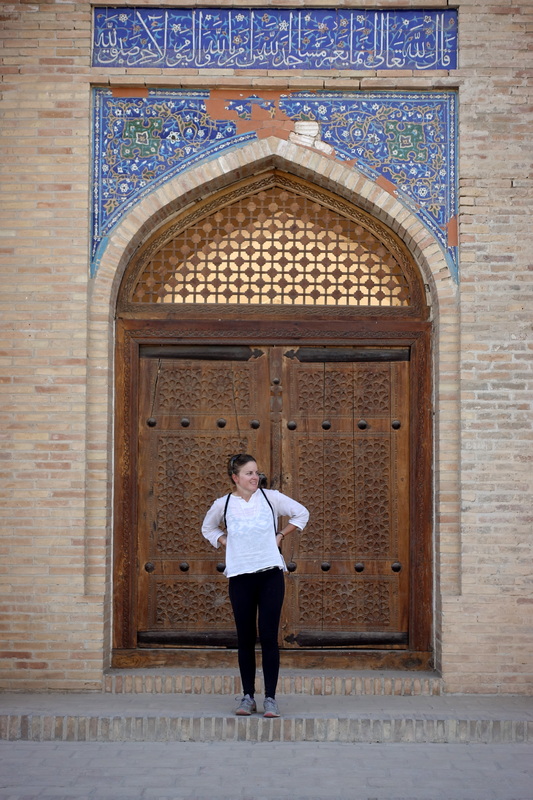 Because we couldn’t understand Russian/Uzbek, we would cycle to the next intersection and ask the next group of people for the directions to this place. It turned out to be the 17th, and for some reason people get married only the 7th, 17th or 27th in Uzbekistan (including a lot of forced, arranged and children marriage… but that’s another story), so there were a lot of large groups of people celebrating in the middle of the week. By the time we found this place, which turned out to be a sports complex where I suppose some cyclists had once camped, the guard told us off. Ok, we thought, waste of time and now we need to find more food (soup can’t sustain cyclists) and get out of the city ASAP before it’s completely dark. We were also slightly fed-up with the area and were happy to just camp far, far away from anyone. I rushed into the nearest market and Cédric rigged the bike, so we would once again become a moving rave party. About 5 kms outside of the town, we pulled off into a cotton field and finally set up camp for the night. Ever heard of Uzbekistan agronomics insanity (and stupidity, and also corrupt system)? 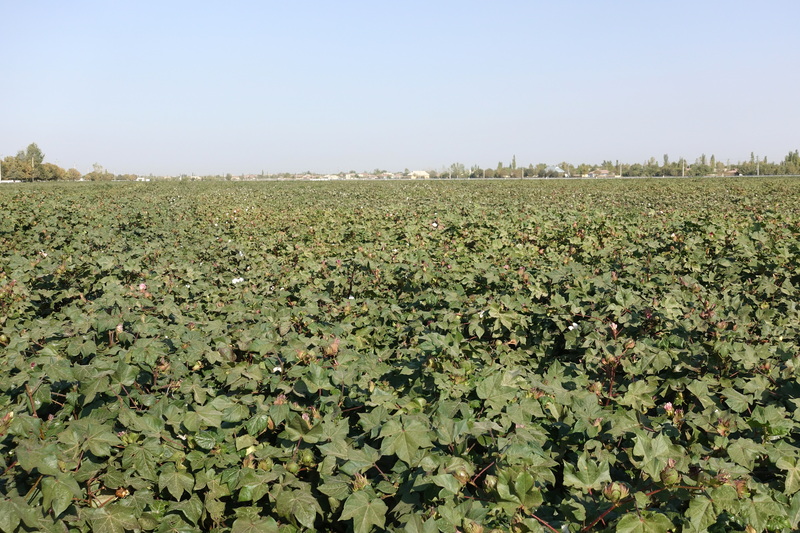 Here it is… some fields of cotton in the desert, destroying arable soils, sucking the water from the Amu-Darya river and emptying the Aral sea. The next morning, we were exhausted and ready to reach Qarshi. As we’ve learned while on the road, most people don’t know the average speed of a bicycle or common dangers while riding. 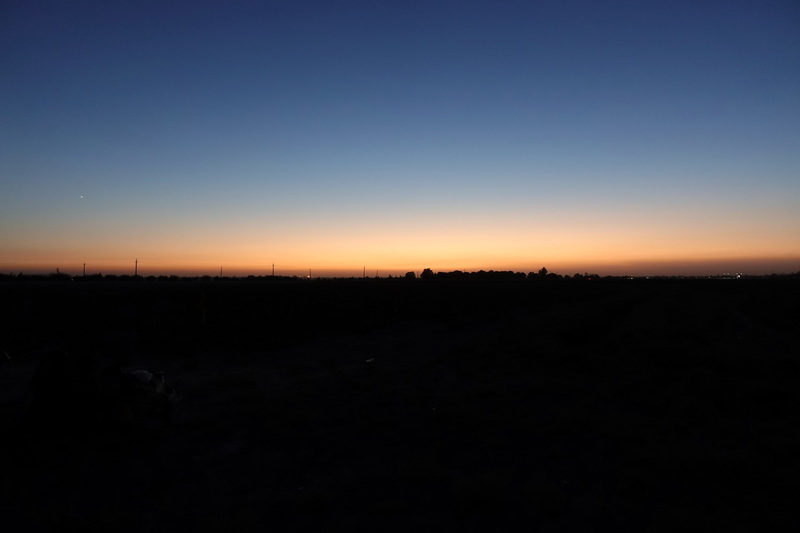 So, when handsy man thought that is was still possible to get to Qarshi and find a hotel for the night, he was assuming that it’s like driving a car; we would have been able to get there in under an hour and easily ride around the city in pitch black until we found a hotel. Our ride into the city during daylight hours was uneventful, if even ugly. The new, flat scenery was dotted with pipelines, oil derricks, and refineries. We thus turned that ride into a time-trial, basically cycling straight to the destination, very little breaks, just focusing on keeping a higher pace than usual, and ignoring the selfie-requests from random drivers – after those last few days, we were just getting annoyed by any encounters with Uzbeks (which is to be honest mostly men, women are discreet in those lands). 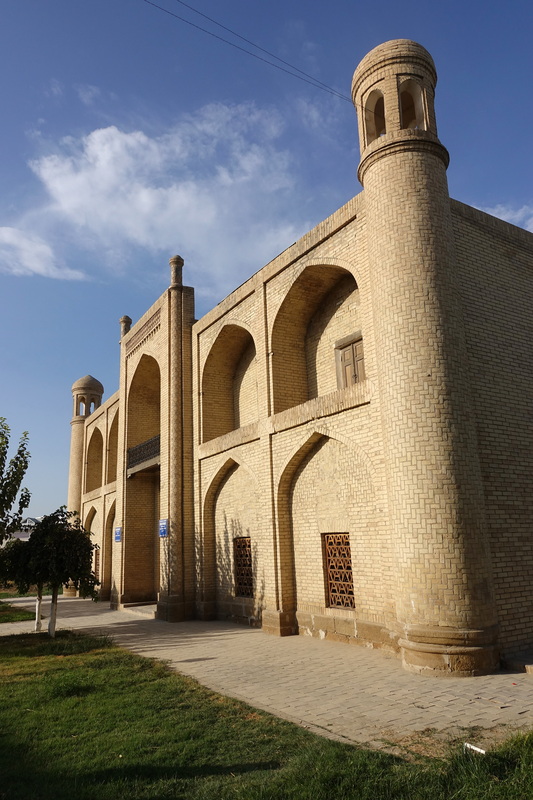 We arrived in Qarshi in the early afternoon, the first hotel that we saw happened to be full (the weddings last 4 days), but after a few calls, the reception contacted some contacts having another hotel not listed anywhere. We didn’t have much choice so decided to give it a shot and tried to follow the car of the owner in the dense traffic, with the idea to not let us be dragged down into some other weird plan, and strictly refuse anything dubious. 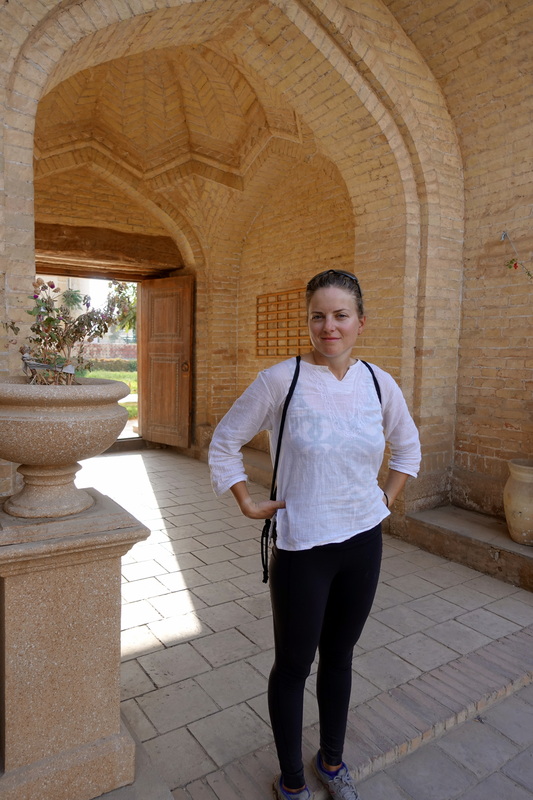 It happened to be the nicest place of all our stay in Uzbekistan, with large clean and modern rooms for a cheap price, while being invited for dinner by that family. After a bit of irritation and exasperation towards Uzbekistan, things were possibly going to turn around. 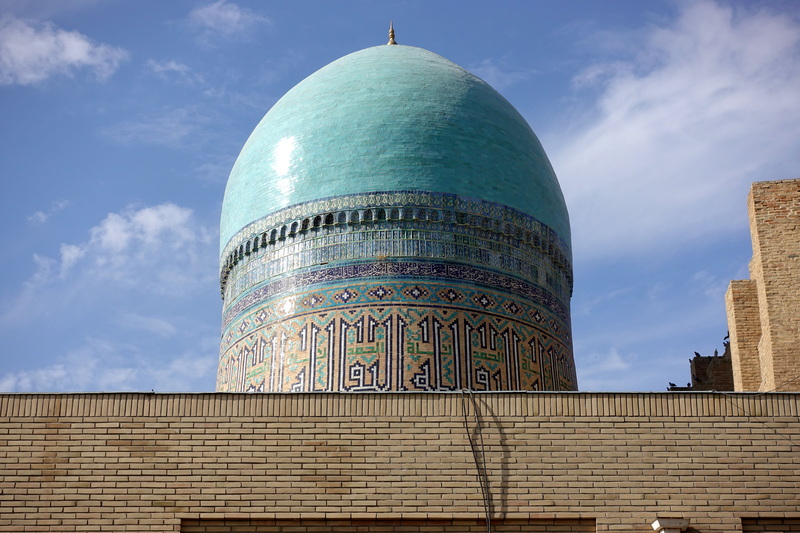 We spent the rest of the afternoon walking around the city, from parks full of Soviet helicopters, tanks and MIG-aircrafts to older mosques and madrasah. 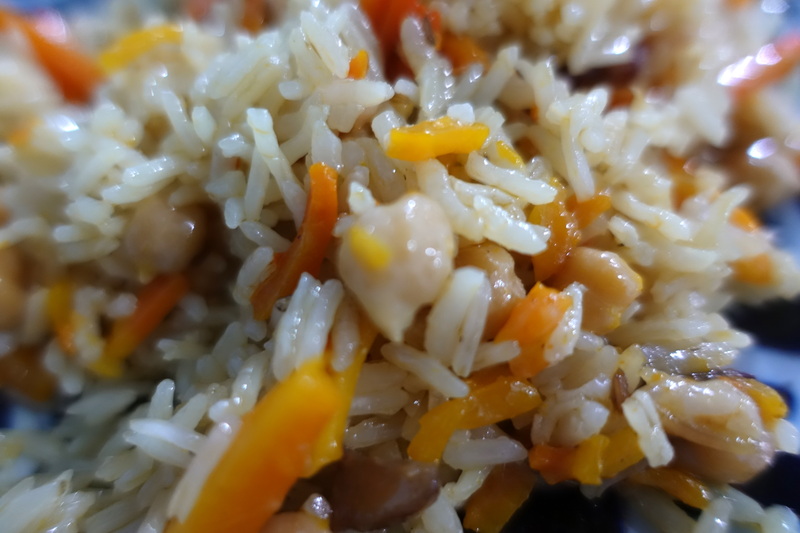 Artistic view of some Plov. 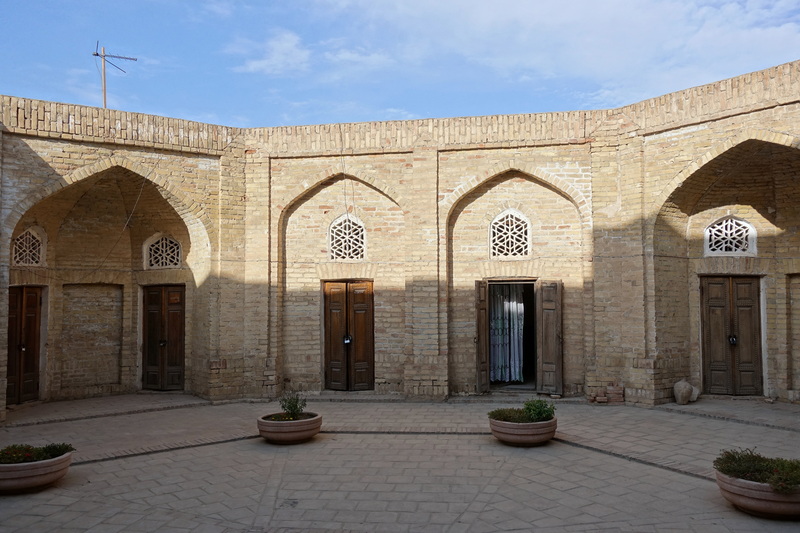 Inside the Madrasah in Qarshi. 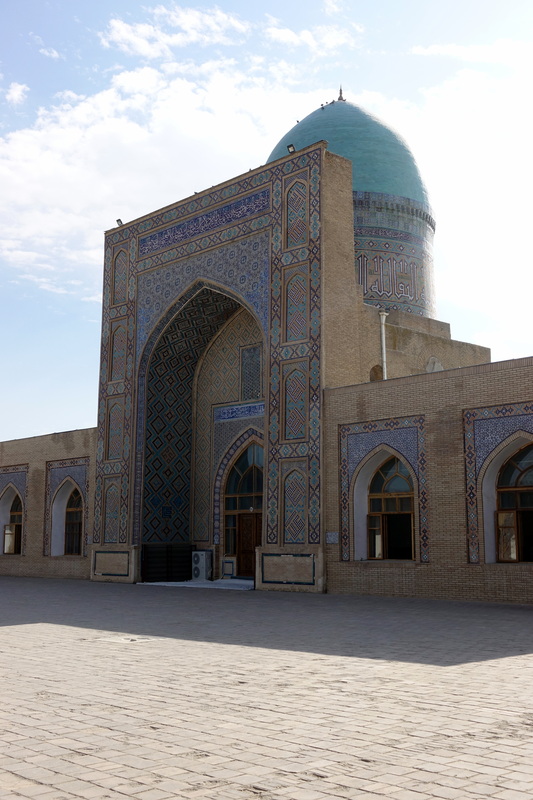 Madrasah basically means school in muslim countries, and just like in a lot of other cultures, it happened that the religion was also in charge of educating people (just like the Society of Jesus for the catholics…), Old the cities on the silk road thus had tens of Madrasahs within their walls. 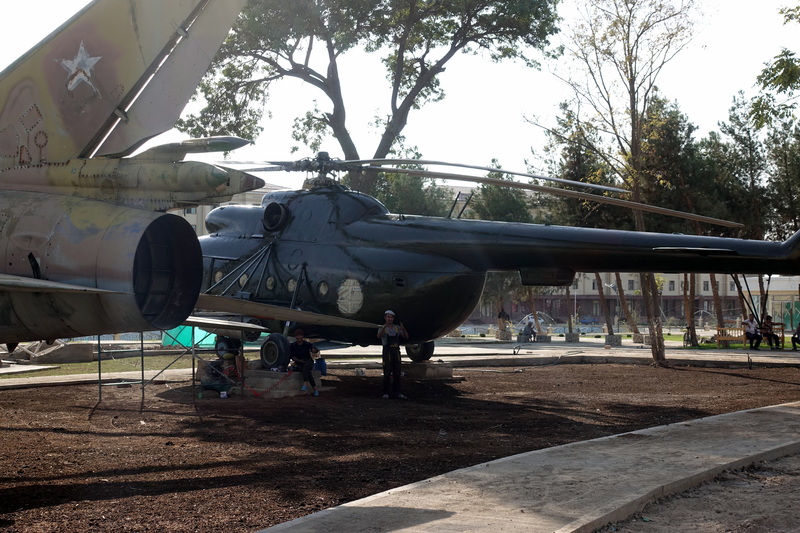 For the public park decor, just reuse some old soviet military equipment! 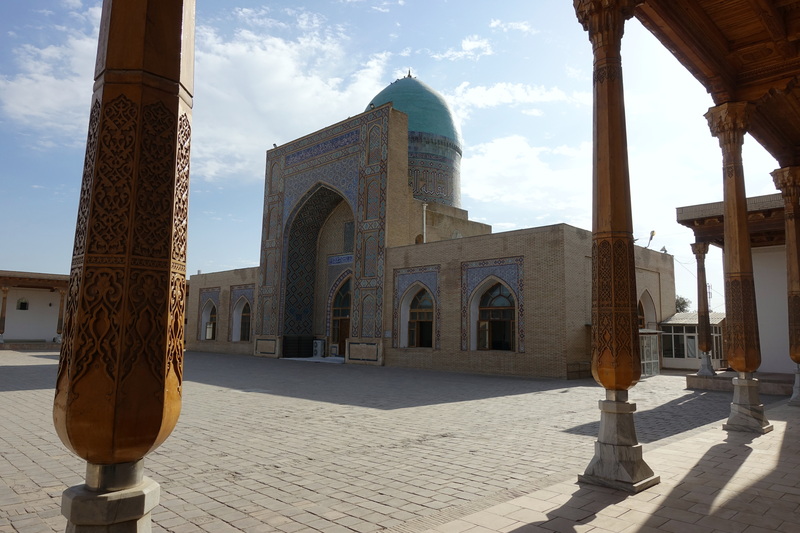 The mosque guard was sleeping at the entrance so we sneaked in very quietly to get in an out. Looks like nobody cared anyway! Coincidence, the Uzbek president visited ours yesterday…We understand that you will not spend your future vacation in Ouzbekistan. Soviets left a disaster area everywhere they went through. Well, the new president is apparently a lot better than Karimov (the previous one, a little insane). 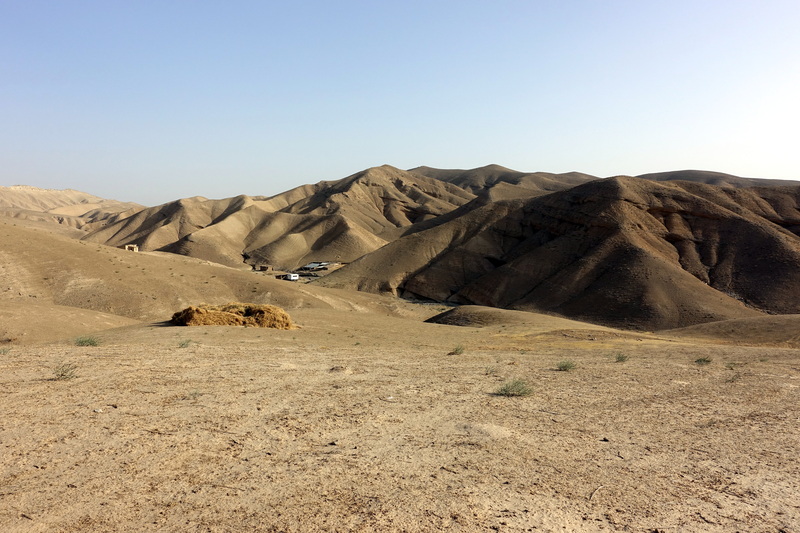 Let’s say that ecology is not a top priority in Central Asia, luckily nobody cared very much about the mountainous areas and there’s lots of space in the Uzbek deserts. 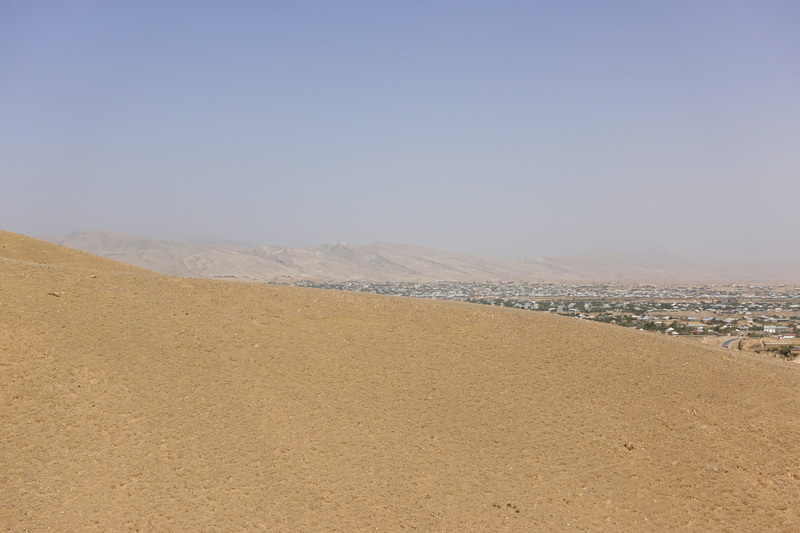 The area around baku with oilfields was also…interesting…next post! 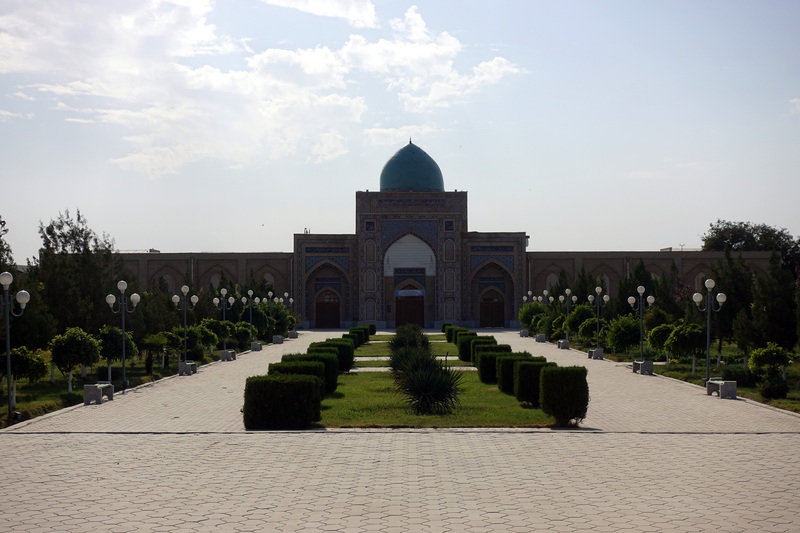 All that comes to my mind when I think of uzbekistan. Harrowing! – I would have gone with the flamethrower. Thanks for finishing with a chuckle…Durex…HA!!! Some Spanish cyclist had also got the idea of a flamethrower against dogs! BTW, your post navigation arrows are backwards – grrrrrr!!! !